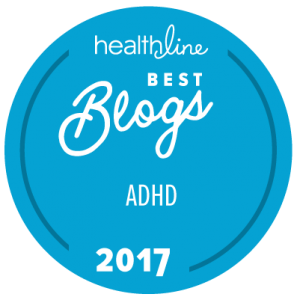 I was just notified by Heathline that my blog has been chosen as One of the Best ADHD Blogs of 2017. This is the fourth consecutive year that Heathline has chosen my blog. They selected my blog because I am actively working to educate, inspire, and empower my readers with high-quality information. I am grateful for this award and it has given me some extra motivation to continue blogging. As many of you know, I have been blogging for 12 years. I do know that my blog has helped thousands of people over the past 12 years. It’s always helpful to be recognized and receive an to award affirm that my work is reaching and helping people. Tara McGillicuddy has been blogging for 12 years. Since 1997, she’s helped people with ADD and ADHD get access to the education and resources they need, too. Come to her blog for an endless stream of actionable tips to help make daily tasks easier with ADHD, like how to create a schedule or get enough sleep at night. Be sure to check out all their ADHD Blogs.